BMW, the Bavarian Machinery Factory Joint-stock Company (German Bayerische Motoren Werke AG), is a world famous manufacturer of upscale automobile and motorcycle. BMW headquartered in Munich. According to drive form, BMW wheel rim can be divided into xDrive (raider) and sDrive (rear). Others also adopt lead raider drive mode. The front suspension of BMW rim design adopts double ball quarter spring shock absorber sliding front axle types. It gives full consideration the user needs and the electric power types. The integral structure of BMW wheel rim is reasonable. Wuxi Hengsheng Wheel Co., Ltd is a professional BMW wheel rim manufacturer and supplier in China. In addition to BMW wheel rim, we also provide other famous models steel wheel rims for our clients around the world, like HYUNDAI wheel rim, Infiniti wheel, JEEP wheel, Kia wheel rim, Lexus wheel, Lincoln wheel, Mazda wheel, Mercedes wheel, Volkswagen wheels, Mitsubishi wheel, NISSAN wheel, OLDSMOBILE wheel, etc. 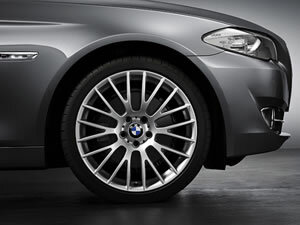 We possess a professional technology team to guarantee the manufacturing of BMW wheel rim. We will checkout all the products and give out a survey report. According to the needs of every client, there will be a dynamic balance sample survey among parts of the qualified BMW wheel rim.